Click on the “LAN settings” button. 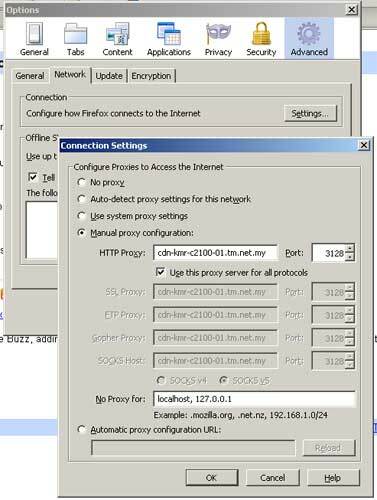 Under the Proxy Server panel, select the checkbox “Use a proxy server for your LAN (…..)”. Select the checkbox “Bypass proxy server for local addresses”. Select the radiobutton “Manual proxy configurations:”. Try this out. My connection is more stable after using the proxy above. You can remove it once the repair work is complete and stable. Help spread the link. I am using Firefox and even after applying the setting mentioned here, the situation is still the same. Most sites such as news sites and political sites just won’t load. Luckily manage to get your site! did you apply this correctly??? I am using Firefox and I have no problem. I am able to access most of the sites. The explanation that you have given for both Firefox and Internet explorer is a wonderful idea. This will be of great help to people who are new to computers.